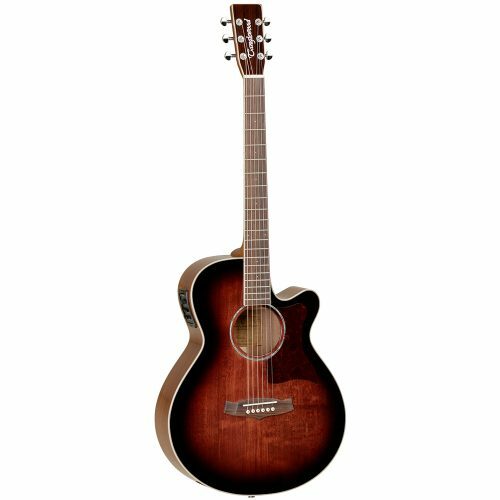 The Sundance Performance Pro X45 NSE model is an elegant Super Folk Cutaway Electro with onboard Fishman Electronics for optimum stage performance. 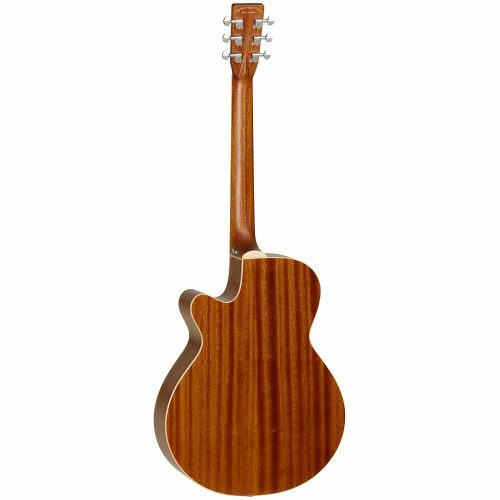 It features a hand selected premium AAA grade solid Cedar top, paired with genuine Solid Mahogany back and sides. 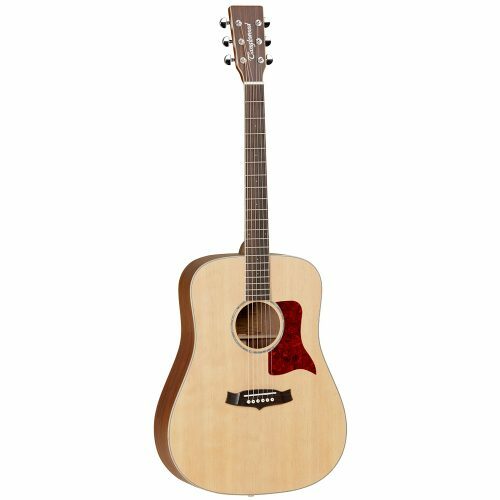 The X45 NSE is flexible enough due to its sizing to be comfortable to both male and female players, an exceptional guitar for the professional player. Michael Sanden, one of Europe’s most respected luthiers, created a special quarter sawn spruce bracing in a tapered style, using a combination of X bracing and fan bracing. This arrangement gives a superior flexibility and tonality from the AAA grade solid cedar top, creating a more stable top than typical bracing. The uniformity of tone and long sustain are testament to Michaels bracing system. Cedar was chosen for the soundboard on this model by Michael Sanden as Cedar has a much warmer sound, and takes less time to reach its full tonal potential. As a result Cedar is a popular choice with finger style players. 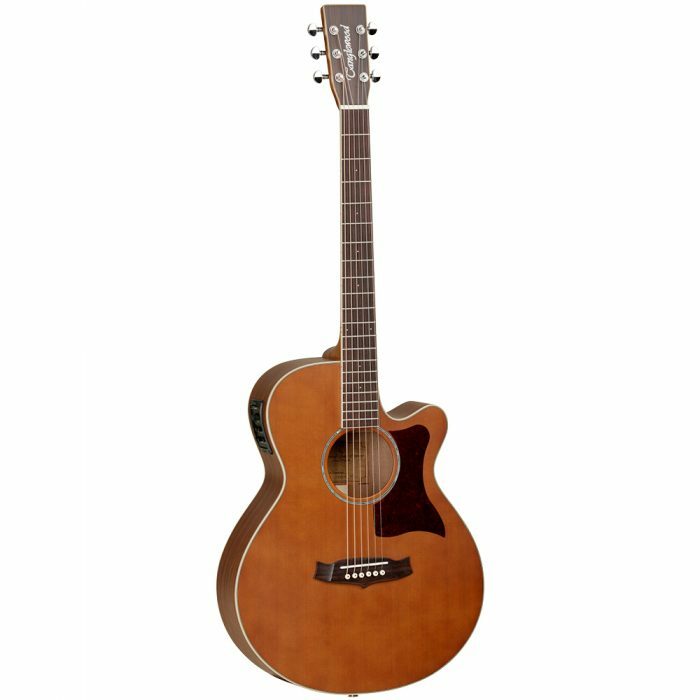 Cedar-topped guitars are characteristically lush, dark-toned, and bursting with flavour. The mahogany used for the back and sides density can add great ‘punch’ and projection, adding warmth, but with definition, and a ‘woody’ character. Mahogany traditionally is a solid wood, with a sombre finish, and close grain. 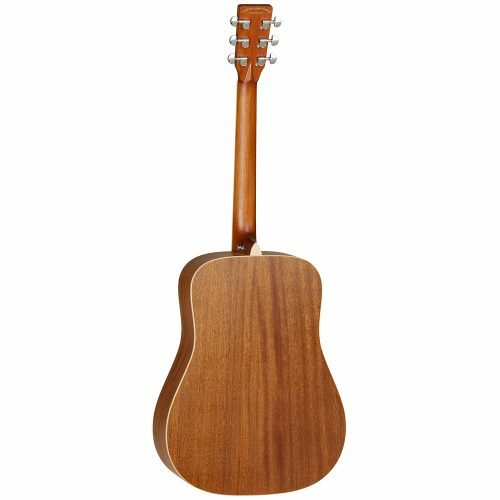 The combination of cedar and mahogany is a popular choice as it creates a tone that is very balanced, but versatile, lending itself very well to most musical styles. Besides serving to form the enclosure of the soundbox, the back and sides of the guitar also act as a sympathetic resonator whose oscillations contribute greatly to the harmonic mix. 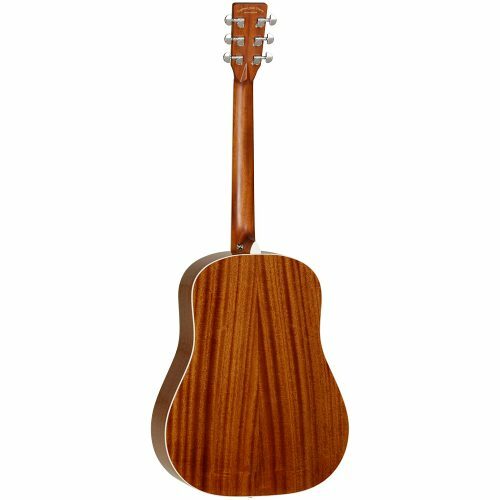 Mahogany is used for the neck in this model as it gives the guitar excellent strength lengthwise. The neck is constructed with a traditional dove tail join. They are C-shaped in a smooth comfortable oval profile that works well for most playing styles. For the electronics on the Sundance Performance Pro series we selected the Fishman Presys+. The Presys+ onboard preamp system is designed to offer maximum control, performance and quality in a small, unobtrusive format. The compact sophisticated Presys+ system features Volume, Bass, Mid and Treble controls, a Phase switch, and a built-in tuner with LED display. 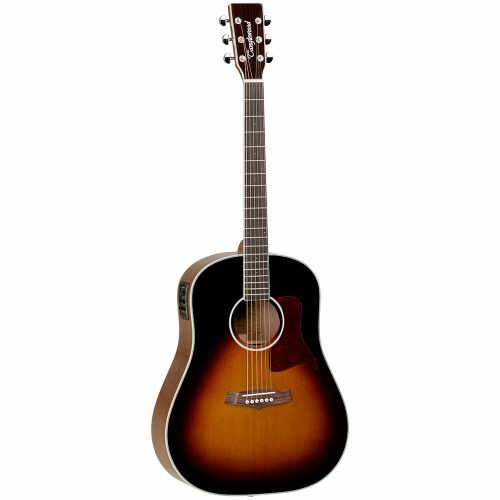 The guitar is finished in an ultra-thin, vintage amber, polyurethane satin finish, which gives it a sleek, high-class look and feel.